The name “Tomazos” is being tightly connected with the offering of quality technical service to the shipping industry and the provision of marine mechanical & engineering equipment as 40 years now the company has established a deep network of contacts and friends. 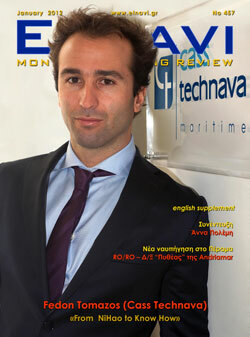 establishing in 2006 Cass Technava, offering real value to the Greek Maritime Community. Fedon Tomazos speaks exclusively to ELNAVI and refers to his vision and future plans of his company.